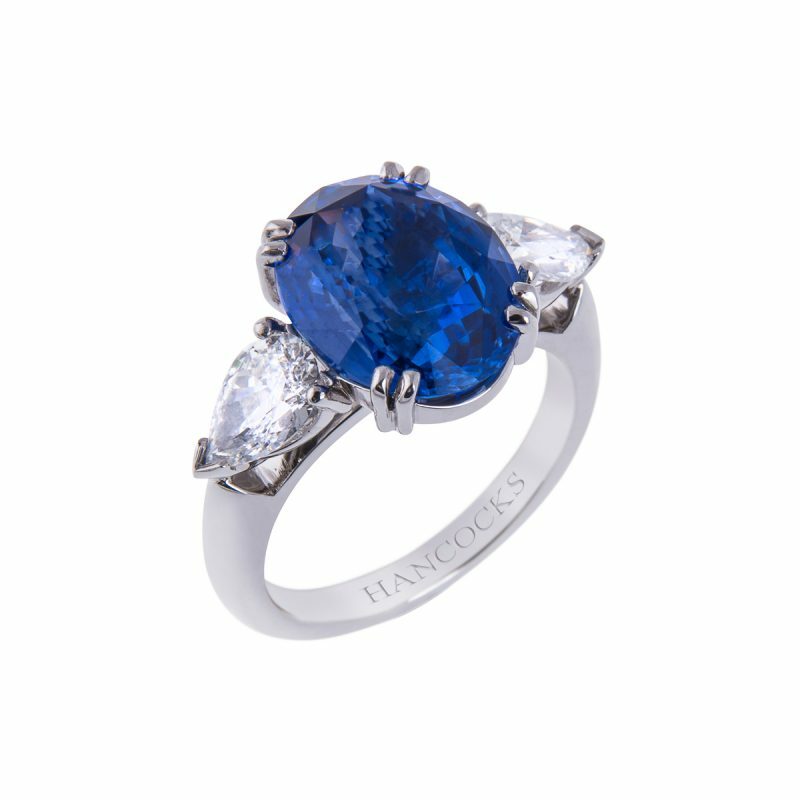 A jewel prefect for a modern day princess. 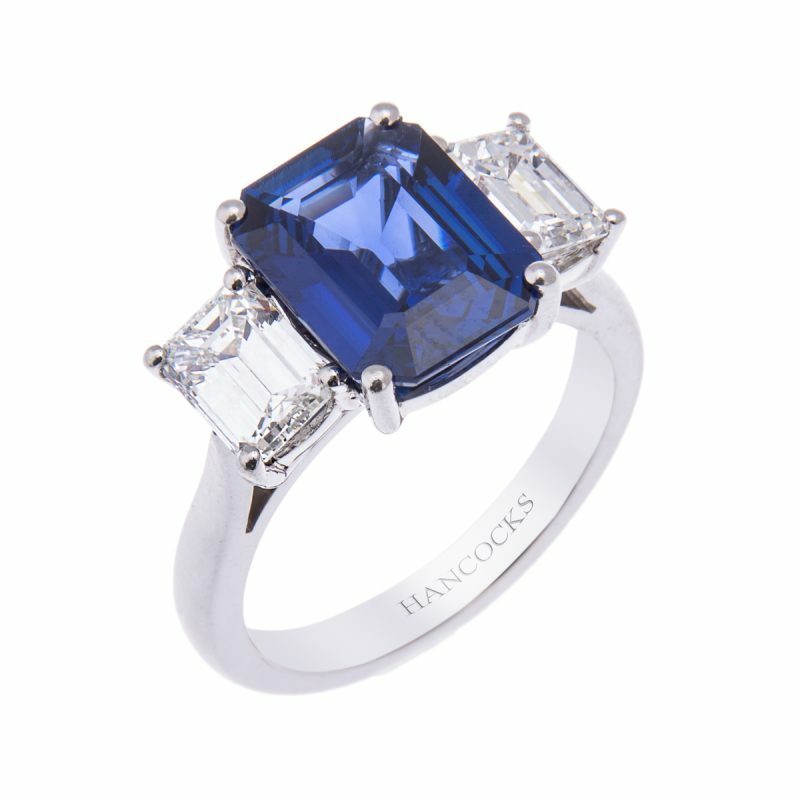 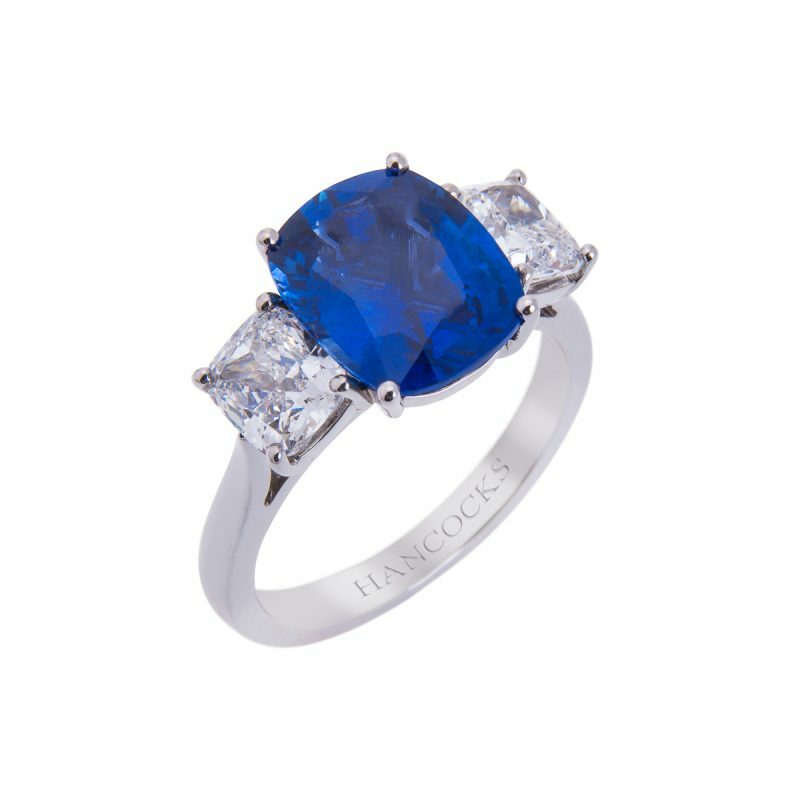 A sapphire and diamond 3-stone, the central emerald cut sapphire of the finest rich cornflower blue colour, enhanced by 2 crisp emerald cut diamonds mounted with in raised platinum handmade four claw setting. 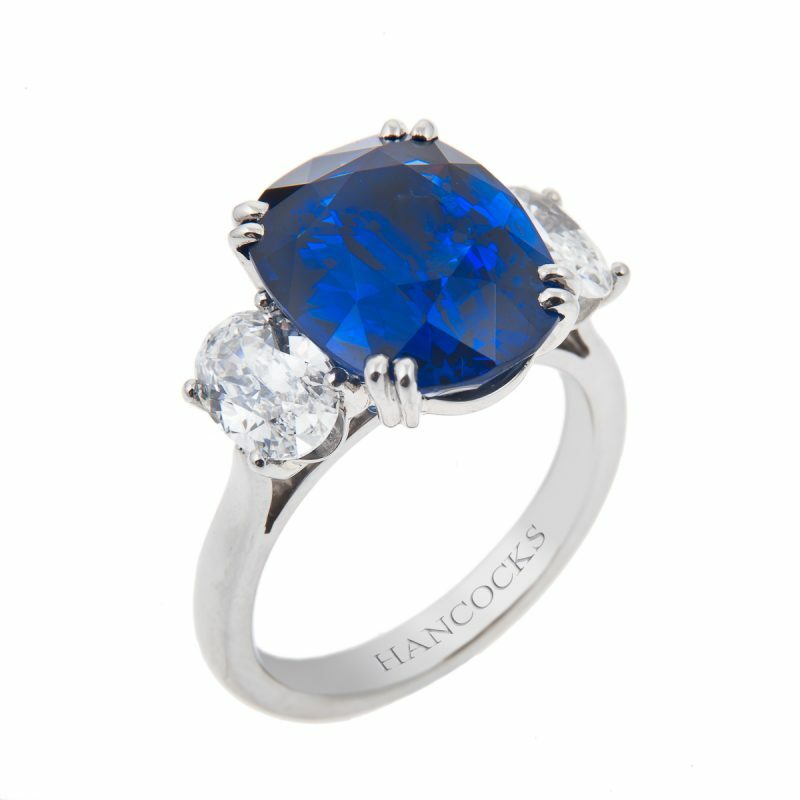 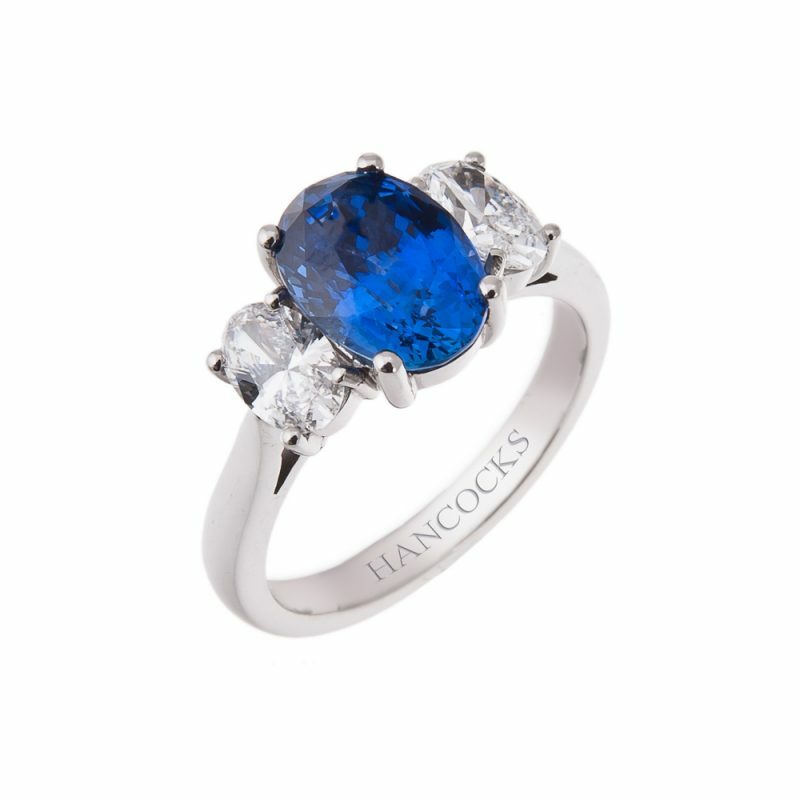 The fabulous colour of these diamonds contrasting with the rich sapphire glitter from every angle, casting its magic on all eyes.